The Bharat teaser gave us a glimpse of Salman’s character in five different looks. Now, the much awaited trailer of the film is all set to be out. And here are some details about the same. The director of the film, Ali Abbas Zafar took to his twitter account to confirm that the trailer will be coming on April 24th. He teased the audience with an image in which we can see the sound mixing process of the trailer. Reportedly, the duration of the trailer is to be of 3 minutes and 12 seconds. Salman Khan is currently busy with the shooting of Dabangg 3 and will be back to the city for the trailer launch of Bharat by the end of the month. It’s also been said that a monumental event will be held to unveil the trailer of the film. 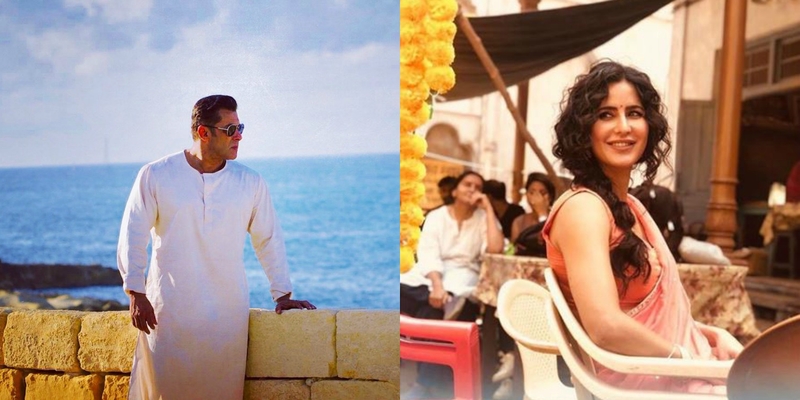 Coming back to the film, Bharat is an official adaption of the Korean movie ‘An Ode To My Father’. Produced by Atul Agnihotri’s Reel Life Production Pvt Ltd and Bhushan Kumar’s T-Series, the movie stars Katrina Kaif opposite Salman Khan. The film also stars Sunil Grover, Disha Patani, Tabu and Nora Fatehi, among others and is slated for an Eid release in 2019.